If finding a gift for your favorite golfer were as difficult as playing the game well, a lot of us would be getting the proverbial lump of coal for Christmas. Fortunately, golf gifts are more like golf courses: an inexhaustible supply, with variety and a range of price points to match. “The golfer who has everything” is an oxymoron. Indeed, the only problem is really too many choices. A handful of options follows. Club Champion Club Fitting. OK, so you’re aware that the golfer in your life craves new sticks, but you’re wary of selecting the equipment yourself, not to mention paying for the entire set. This Chicago-based company uses the latest swing analysis technology to crunch the variables inherent in each golfer’s swing — loft angle, lie, optimal shaft flex, and so forth. In turn, their corporate club-building facility has access to 35,000 head and shaft permutations for the perfect fit via their 36 locations. Club Champion’s winter promotion consists of deep discounts on club-fitting fees for golfers who complete their fitting by January 31, 2019, with the full-bag version going for $175 (regularly $350); $99 for driver or iron fitting ($150); and putter fitting for $66 ($100). They can then build your new clubs. A refitting of an existing set — for example, new shafts — is an economical alternative. 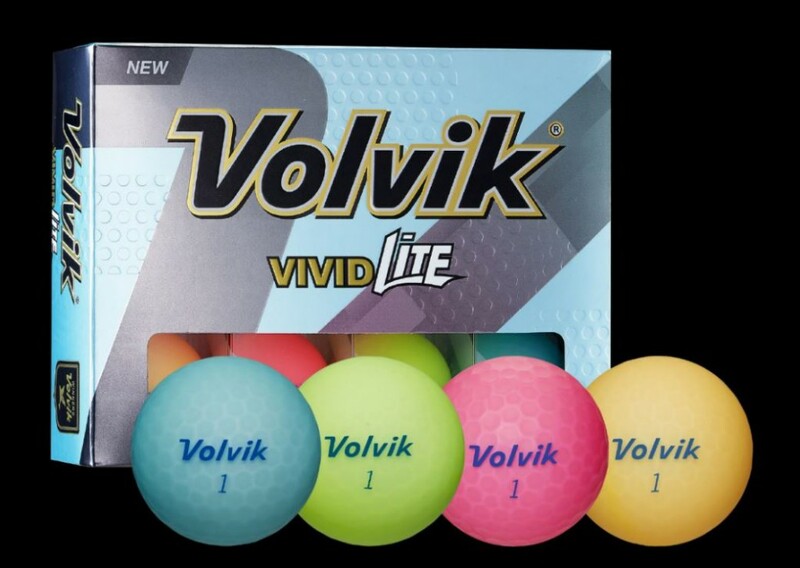 Volvik Golf Balls (pictured above). Like colorful tennis apparel, time was when golf balls in a color other than white were considered blasphemous, or at least uncool. Nowadays, virtually every major ball manufacturer offers colored golf balls, typically in optic yellow or green shades, because (again, like tennis balls), they can be easier to track, especially for golfers of a certain age. Volvik not only pioneered the concept but has taken it way beyond the competition. The company now sells more than a million dozen balls in assorted colors — orange, yellow, pink, neon green, purple, jade, black, and yes, white; and in finishes and textures that include matte, “vivid,” and “crystal,” which has a translucent look. Promoted as both quality equipment and a fashion statement, they’re especially popular on the LPGA tour but are also used on the other pro tours. They generally retail for $32.95 – $42.95 on sites like golfballs.com, which often provide free personalization. Golf Genius Software. Among the hottest topics in golf media is the “buddy trip,” specifically tutorials on how to function — or maybe that should be survive — when you find yourself in charge of logistics for a group trip. As discussed previously in this space, the bulk of the company’s activities focus on large-scale tournament and event management, including huge responsibilities for USGA competitions. But the Golf Genius staff, including 24 PGA professionals, will also arrange your group trip, everything from tee times to pairings to real-time scoring to a web page to help participants stay engaged, even post-trip accounting. All you have to do is tell them where you want to play. They can’t promise that everyone will like sushi; still, if you’ve ever taken on one of these cat-herding projects, you know the $250 fee for this service is a bargain. 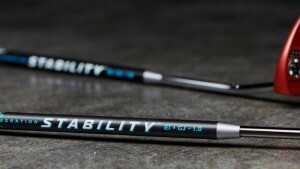 Breakthrough Golf Technology’s Stability Shaft. Hold on, doesn’t it say above that there’s no such thing as the golfer who has everything? Well, it’s still true, but at $199, this putter shaft is clearly designed with the golf equipment fanatic in mind; or maybe the golfer obsessed with putting. The latest project from golf gear maven and Breakthrough CEO Barney Adams, the shaft’s composition — unorthodox geometries and multiple materials — may be complex, but the concept is not: While technological advances for other club shafts, especially drivers, have been accelerating for years, the putter shaft has remained a uniform steel rod. New designs for putter heads, many of them heavier than older models, result in vibration and therefore inconsistency in rolling the golf ball. P3ProSwing Simulators. 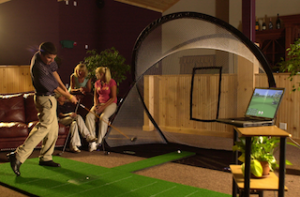 Many would agree that the most dazzling technological innovations in golf are simulators that allow us to “play golf” indoors, as well as to provide golf-swing metrics crucial to game improvement. 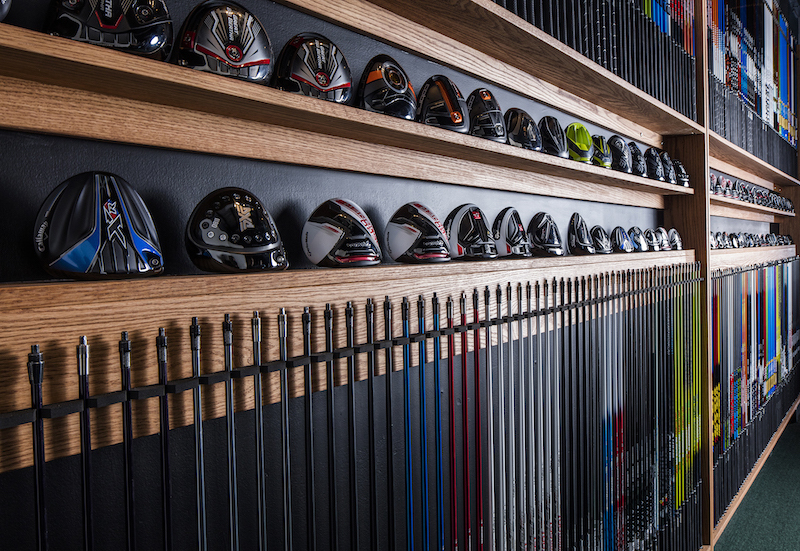 They have truly revolutionized club fitting and golf instruction, and even helped to generate new golf-and-entertainment industries like TopGolf. If all that sounds expensive, though, it can be — tens of thousands of dollars. A major appeal of the P3ProSwing line is its scalability. Starting at $849, the most affordable unit measures all of the swing and ball flight characteristics of much more expensive models, including ball spin, ball speed, launch angle, club speed, face angle, swing path and tempo. Every club in a golfer’s bag, including the putter, can be used. Units can also be accessorized for competition on selected courses, with your regular foursome or far afield P3ProSwing players.